Hydrotherapy; water great natural healing therapy! Below right: How I feel about water and hydrotherapy is summed up by a short twenty second video of the inspirational Bruce Lee speaking about water. What if I cannot find a hydro pool? It is the use of water (hot, cold, steam, or ice) to relieve discomfort and promote physical well-being. Water therapy is a treatment many of us use every day. Having a bath or hot shower or using an icepack on a part of your body all counts as water therapy treatment. Did you know that our bodies depending on size are made up of 55% to 78% of water? That is over half of our body. Life can not survive without it. Water has many therapeutic properties. Which I think many people do not realize. Water can. It has been many years since I have had a fever but when I did I found that a warm bath was something that really worked for me. I have also used water therapy as part of my rehab last year when I dislocated my right shoulder. Boy was that a painful experience! I went to a hydro pool rather than a swimming pool. Hydrotherapy pools are ideal because the water temperature is about 36 degrees while my local swimming pool is usually pretty cold. There is also a hydro therapist there to supervise and give instructions. I went once a week for two months and it was very affective for me. If you can not find a hydro pool you could approach a hotel and ask to use their pool. Many hotel pools are under used. I spoke to a friend of mine who found a hotel that was willing to heated pool for about three dollars per visit. There was also a hot tub with jets at the hotel. He alternates between the pool and the hot tub. He does exercises and walks around the pool. 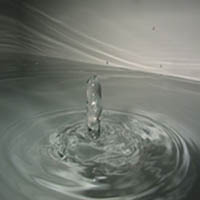 Water therapy can be traced back to ancient China and Japan. Its usage is also recorded in Greek, Egyptian and Roman civilizations. The royal Egyptians bathed in lovely essential oils and flowers. While the Roman citizens used communal baths. Sebastian Kneipp was a 19th century Bavarian monk; he is credited as being the father of modern hydrotherapy. The book he wrote in 1886 called My water cure was published and translated in many languages. Yes it is generally safe if the treatment is done correctly. It is important that you talk to your doctor though before embarking on treatment. I had a chat with both my doctor and physiotherapist, they both thought that water therapy treatment was a good idea. Everybody is different. Some people may respond differently to the length and intensity of the treatment. Some people may have aches and pains, nausea, chilliness, headaches and faintness. high blood pressure or low blood pressure.